Welcome to PHII's North Dakota Home Inspection School. PHII delivers unmatched home inspection training led by experienced instructors who are here for one reason only, to help you succeed. Our nationally certified home inspection course will teach you how to become a North Dakota home inspector with just a few weeks of coursework, testing, and hands-on field study. You will learn the basic fundamentals of home inspection that comply with national standards of practice. With over 20 years in business and the first school to offer online training for home inspectors, PHII has helped many people in North Dakota and thousands of others nationwide, start successful home inspection careers. 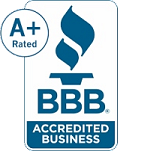 This is because we offer the best online home inspection training available. Plus we consistently update our online course materials as the industry changes. 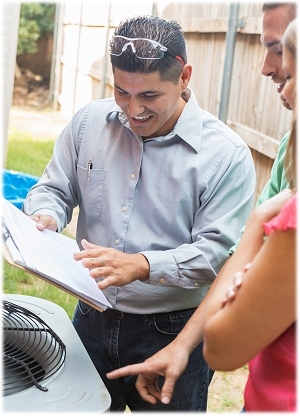 We use a step-by-step training process to make home inspection simple to learn. All of our North Dakota online home inspection training options include the same lessons, field inspection assignments and report writing as our classroom course. We even include free home inspection report software so that you can practice inspecting and documenting while taking the course in North Dakota. Our experienced, on-site instructors are always here to help you every step of the way. Plus we include lessons on mold and allergens, radon, and commercial inspections so you can learn how to expand your business in North Dakota by offering new services. PHII's online home inspection course for North Dakota delivers all of the advantages of our classroom training course for a fraction of the cost. We use a proven interactive learning solution with lesson pre-tests and post-tests, flash cards, audio instruction, video, and feedback along with the human support element that is so critical to success. Our North Dakota home inspection training course is self-paced, but you are never alone. As you go through the course, you will master the learning objectives for each lesson that correspond to a national standard of practice for home inspection that applies to North Dakota home inspectors. No previous experience is required to understand the components and systems of a home and learn how to visually inspect them. You can take as long as you need, however those with experience in the building trades will generally finish faster. As you complete each lesson, you will use interactive flash cards and take practice quizzes that will test your knowledge, generate instant feedback and provide opportunities to correct mistakes, re-learn information and re-test. Our system keeps track of your progress, so you can take a break at any time, even turn off your computer and the course will return to where you left off. You can perform the hands-on field activities on your own home or any residential building in North Dakota to test your knowledge in a real world setting. 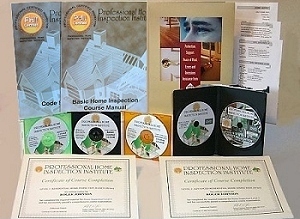 PHII teaches you what to inspect, how to inspect it, and how to write a home inspection report in North Dakota. We give you the knowledge, instructor support and hands-on practice necessary to become a successful North Dakota home inspector. After you pass the final exam and field assignment, you will be confident that you possess the knowledge and skills needed to begin your career as a professional home inspector in North Dakota. If you are thinking about a career change, consider PHII's North Dakota online home inspection training course and earn your North Dakota professional home inspector certification in your spare time using any mobile device. PHII provides everything you need to learn how to become a home inspector in North Dakota at the best tuition price in the industry and with your satisfaction guaranteed. How to market your services and expand your business in North Dakota. 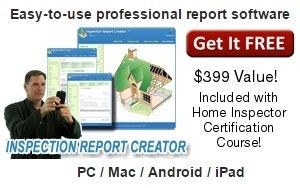 Online Home Inspector Course for North Dakota with optional back-up CD, Inspection Documents, Certificate, Student Manual, Course DVDs (online), Toll Free Student Support. As a gold-level NAAHI-accredited training provder, PHII can offer all North Dakota home inspection course graduates a free 1-year membership in the North American Association of Home Inspectors (NAAHI), a national non-profit professional home inspector association and a $199 value.